A passing rain storm leaves clouds in the blue sky as it passes by a Wisconsin Dairy farm in summer. 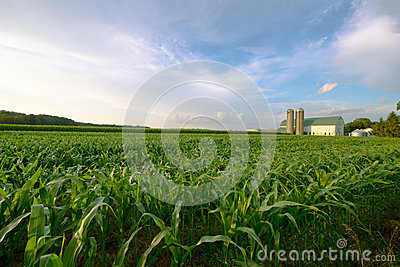 The corn in the field is green and tall and will be used as silage for the cows in the barn during the winter. Nice rural landscape from the American midwest.